Mummies of the World is Making a Debut at MOSI this April! Hi Tampa Bay, Alex here to let you know that the Mummies of the World exhibition will be making its Florida premiere at MOSI on Friday, April 27, 2012. The presentation in Tampa will mark the fifth stop of the exhibition’s exclusive seven-city tour. This astonishing collection of mummies and related artifacts includes a 6,420-year-old child mummy from Peru, dating 3,000 years before King Tut. Mummies of the World is the first exhibition of its kind to be showcased at MOSI. The exhibition presents a never before seen collection of rare mummies from across the world including South America, Europe, Asia, Oceania and Egypt that spans eons of time and transcends history. With its collection of 150 specimens and objects, Mummies of the World is the largest exhibition of real human and animal mummies and related artifacts ever assembled. The exhibition reveals how the scientific study of mummies provides a window into the lives of ancient people, offering unprecedented insights into past cultures and civilizations. It also demonstrates that mummification – both through natural processes and intentional practices – has taken place all over the globe, from the hot desert sands of South America to remote European bogs. 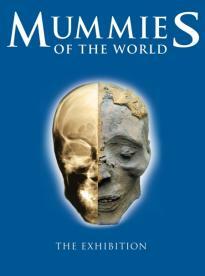 Mummies of the World will be on exhibition from April 27, 2012 through September 3, 2012. Tickets are on sale now and reservations are highly recommended. Mummies of the World is a timed-entry exhibition, so before making a purchase, visitors will be asked to select the date and time of their visit. Don’t miss out on a chance to see rare collections of mummies from across the world. Buy your tickets today by calling (813) 987-6000. MOSI will be offering special packages that include regular admission plus Mummies of the World, as well as a Mummies of the World only ticket. Check back with us often for more information on Things To Do In Tampa Bay!